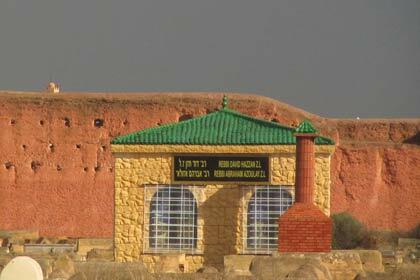 Located in the southeast of the medina, the Jewish cemetery is a mystical place at the edge of the mellah. 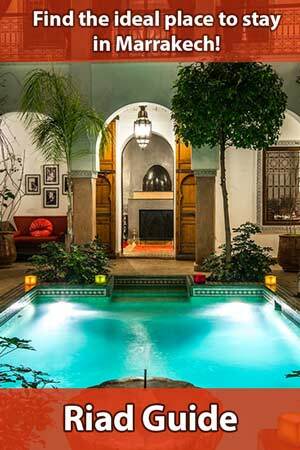 Under the right lighting conditions, its surreal atmosphere clearly contrasts the rest of Marrakech. 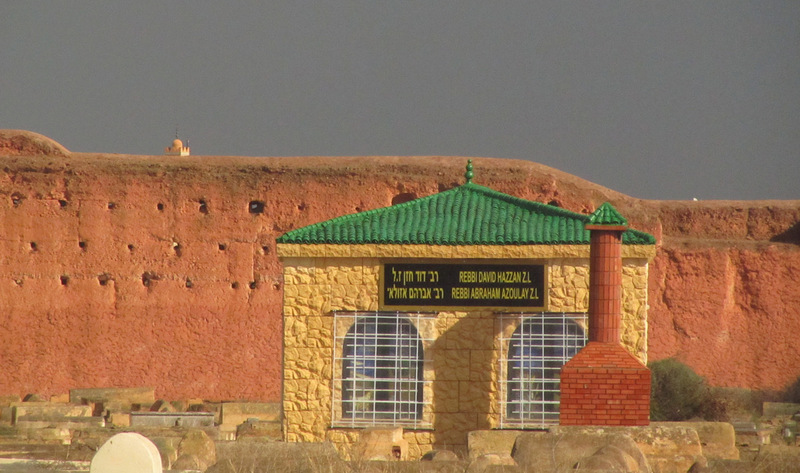 The Jewish cemetery is located at the border of the mellah in the southeastern medina. The cemetery and the Synagogue are important evidence how Jewish life manifested itself in Marrakech. Visitors enter the surprisingly vast area through a wide metal gate. Hundreds of graves of adults and children are spread across the cemetery. But first, you are welcomed by the cemetery guard, who pays close attention that male visitors are covering their heads. If you’re not carrying around a hat or baseball cap, the guard will provide you with a kippah. Only then are you allowed to enter the actual cemetery and, if interested, you can get a tour by the cemetery guard across the area that seems a little savaged and untended at a first glance. But it is through these traces of transience that the surreal, slightly gloomy but still not depressing atmosphere of the place is created. 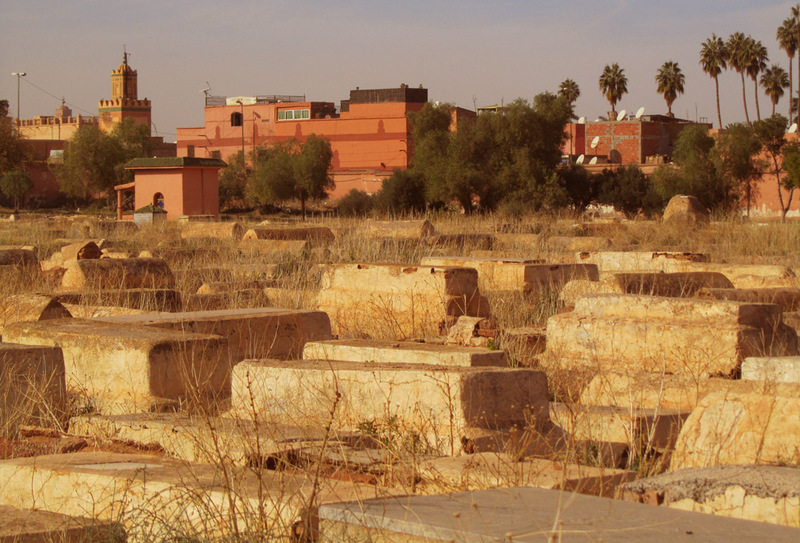 Today there are only about 120 Moroccan Jews living in Marrakech. Jewish communal life is not as vital as it once used to be and has to struggle with a considerable loss of its members. 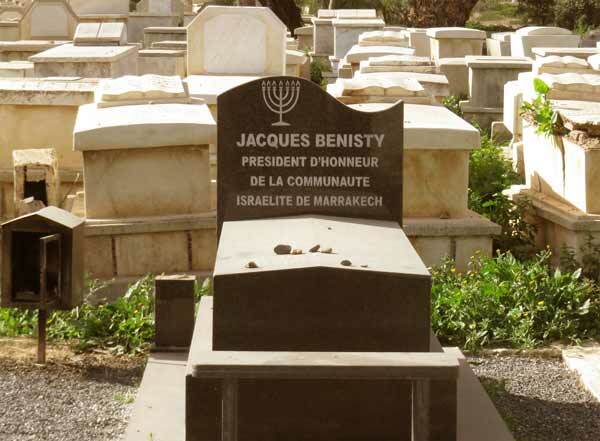 In addition to that, the integration of European Jews, who nowadays make up the majority of Jews living in Marrakech, has been slow – it is supposed that both communities are not very well connected with one another. But at least here on the cemetery the coexistence seems to be peaceful and a variety of traditions and rites of both Ashkenazi and Sephardic Jews are performed side by side. 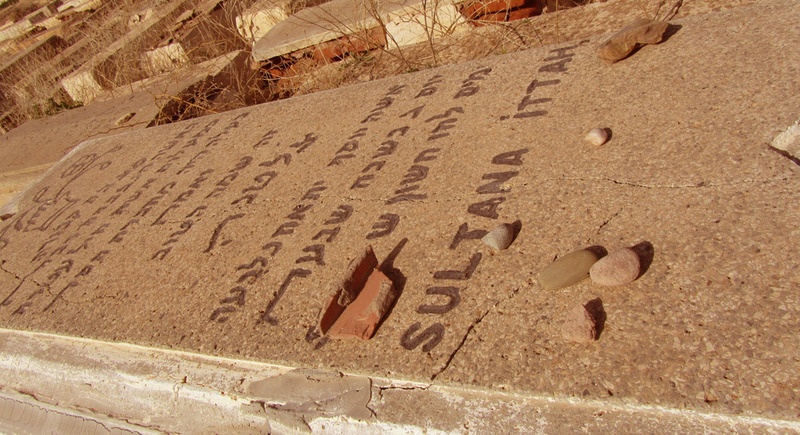 Unlike most other attractions, the Jewish cemetery is not very crowded by tourists. So depending on the time of day and cloudiness, you can experience the characteristic surreal atmosphere of this place without being disturbed. The light is most impressive in the late afternoon, under a slightly overcast sky. Before you leave the cemetery, the guard will remind you to wash your hands, to restore ritual purity. The Jewish cemetery is located in the southeastern medina at the border of the mellah. 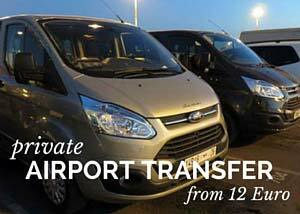 It is about a 15-minute walk from the Djemaa el Fna. 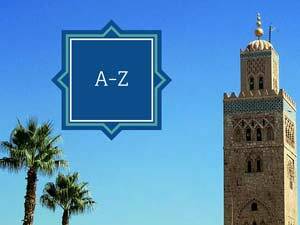 You can choose to go through the Zitoun Lakdim to the Place des Ferblantiers, and from there through the mellah, heading east. Another option is to follow the Zitoun el Jdid to the Bahia Palace, moving around the mellah. You should calculate about 45 minutes for the visit of the cemetery.